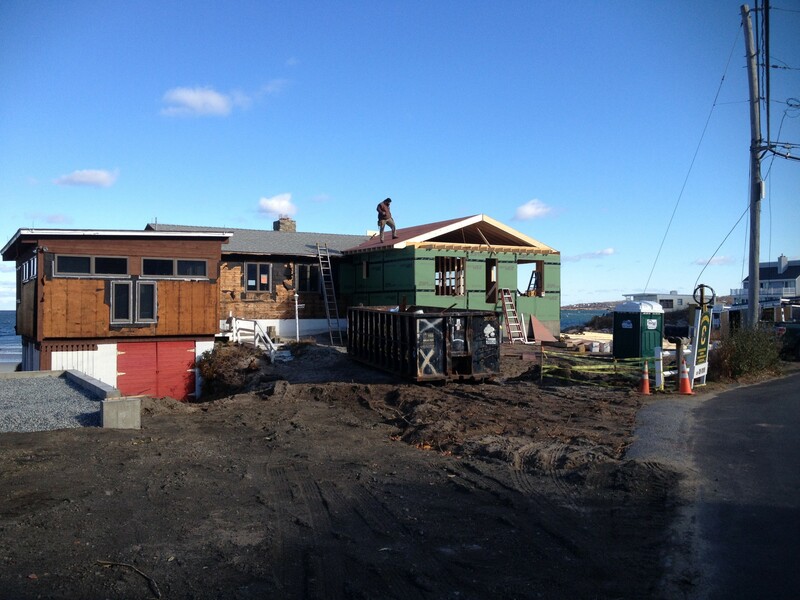 This is an addition that was a complete rehab of an oceanfront property in Gloucester. We installed a beautiful custom stairway that follows the natural path of the cliff down to the beach. This deck allows both the homeowners and guests to soak up the sun with an impeccable view. 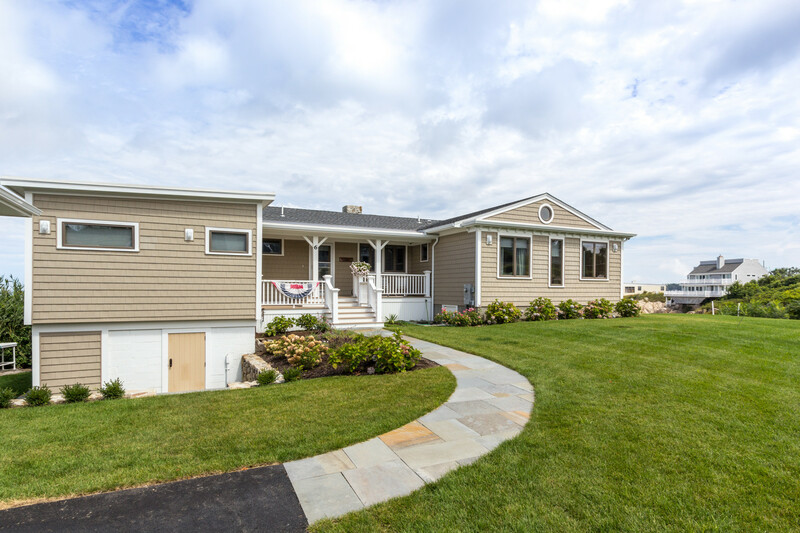 This home has plenty of yard space, an inviting walkway and a central, connecting porch to compliment the aesthetic appeal. This multi-level porch adds character to this custom entryway with simple white beams and railings. Azek decking and railing with a custom compass design to bring individuality and uniqueness to this oceanside deck. This gorgeous deck surrounds the entire residence allowing for ample space. The large windows let the natural light warm this beach house along with a private, gated walkway to serve as a separate access point.